People expect consistency from their suppliers. They want to know that they can rely on the quality of the product and the standard of service. By applying our own business approach (innovation, quality, speed, helpfulness etc) consistently to ProPac, customers grow accustomed to it. When they see the ProPac name, customers automatically associate it with a certain set of values and skills. They know what to expect from ProPac; they know what the brand stands for. Consistency doesn’t end there. If it’s to be believable, it has to run throughout the organisation, covering not just what we do, but the way we present ourselves. Customers – many of whom are international players – should be able to recognise the ProPac brand wherever they see it, and immediately associate what they see with the values they know and trust. To be consistent in the way we look, everyone has to know what the look is. That’s why we’ve produced these brand guidelines. They tell you and your external suppliers (designers, advertising agencies, PR consultants, writers etc) how to present the ProPac brand. Although many aspects of the brand guidelines are fixed and invariable, the overall effect is liberating rather than restricting. The guidelines give you enormous freedom to develop promotional materials that suit your local market and your campaign budget. Once you know how the brand should look, you can concentrate on exploiting its potential among customers who will see it for what is: Europe’s most inventive, most easily recognisable, and fastestgrowing packaging brand. The way we talk to customers influences their perception of who we are and what we can do. So it’s worth making sure that our written style is consistent too. We’re an upbeat organisation, fizzing with ideas. Our copy should reflect that approach. Don’t be stuffy or formal; be relaxed and friendly, and get straight to the point. Make your writing sound more like the way you speak when you’re meeting customers face-to-face. It often helps to imagine one of them sitting next to you. That encourages you to think in a one-to-one conversational style instead of writing a speech. It’s easy to make bold, unsubstantiated claims such as “made from the highest quality materials”. Trouble is, everyone makes claims of that kind, which is why they’re worthless. It’s much more persuasive to give an example such as “made from clean white kraft for a crisp look to your printed logo”. Customers can relate to that; they can instantly see what the benefit is. For simplicity, we write original ProPac catalogue copy in English, then translate into the languages in which we operate. In most cases you can take product copy directly from the catalogue and use it in your own materials. The less you have to write yourself, the quicker you can put your own materials together. ProPac used to be a separate brand from its Swedish parent, Bong. 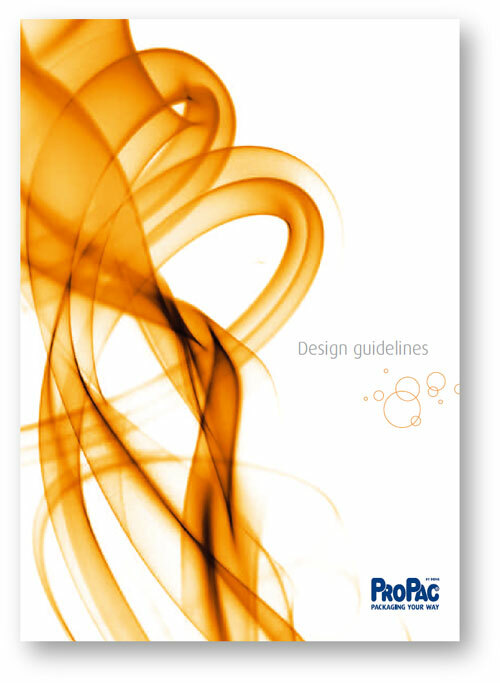 To emphasise the differences, the ProPac marketing team devised its own design guidelines. The brief was interesting because Bong is a pan-European company that relies on English to communicate across its many borders. Each country was free to devise its own campaigns so long as they adhered to the design guidelines. Translating tone of voice is tricky because degrees of formality and informality within business writing vary between cultures. So we kept our tone-of-voice instructions general, and made no attempt to lay down rules for editorial style.